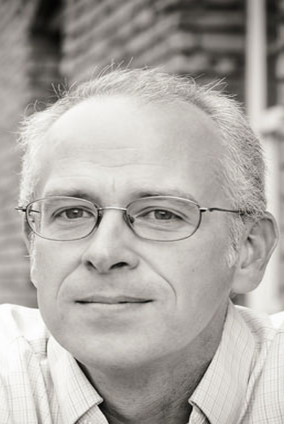 This description of David Wiley's work was prepared when David Wiley was elected to the Ashoka Fellowship in 2017. David is championing the concept of ‘open educational resources’ to reinvent how educational content is created, licensed, used, and improved—ultimately enabling college and university students to access to access radically improved class materials at dramatically reduced prices. David Wiley and co-founder Kim Thanos launched Lumen Learning to alter the landscape of higher education by dramatically reducing the cost of educational materials, beginning with community colleges across the United States. He is the originator of the idea of ‘open content’ which later came to be known as ‘open educational resources’ (OER). OER are teaching and learning materials that use copyright licenses that allow you to use, reuse, edit, and share the materials with others at no cost, and without needing to ask for additional permission. With the costs of textbooks and other content sometimes exceeding the cost of tuition at community colleges, this represents a significant solution to the problem of rising education costs and student debt – particularly for low income and minority students – as well as an opportunity to fundamentally re-think how content is created, updated, and made available in the first place. More than 8 million students were enrolled in community colleges in 2016. Open education resources are based on an open licensing system that puts control of educational materials back into faculty and students’ hands. Teachers within specific disciplines across networks of universities collaborate to create content for many of the most common degree programs (including the 2-year general education degree) that students can then access for free and forever. In addition to reducing costs, the open source characteristic of OER provide legal permissions to adapt, improve, and customize materials to meet students’ needs and stay as relevant as possible. Students can participte in this process of adjusting and improving their own learning materials. This enables faculty to tailor their courses to the specific student outcomes they want to achieve, pulling from a diverse set of materials, in collaboration with learners who become true co-creators of knowledge. Lumen currently works with over 120 community colleges and universities across the country to refine the model and demonstrate its effectiveness, with the goal of reaching the majority of the nation’s community college market and tip the field within the next 5 years. His strategy involves a combination of depth and breadth, simultaneously enabling entire degrees within a community college to be fully OER while working to build demand and adoption across university systems and across states. Within the context of the rising cost of higher education in the United States is a correlated problem: the rapid cost increase of textbooks and other education materials. The College Board estimates that the average student today is asked to spend approximately $1,200 per year on textbooks, an increase of 73 percent in the last decade alone. At community colleges this can represent a major portion of overall costs, sometimes even exceeding the cost of tuition. The implications for students are significant: The same College Board study found that 65% of students report skipping purchasing books because of cost, and a 2014 study by the Student Public Interest Research Group showed that a majority of college students make course selection decisions based on textbook prices and avoid courses with expensive content. The problem is most acute for low-income and minority students who disproportionately fail to complete their degrees within the recommended time frame and cite financial burdens as the number one reason why. First generation students are also less likely to know about and use lower-cost options (like used books). Current attempts to address the problem include marketplaces for used books, book rentals, digital access and more, but they are only partial solutions that typically leave the student without access to the content upon a course’s completion, unable to reference it in the future. None address the underlying monopoly of education publishing where just five publishers control 80 percent of the content available commercially. Indeed, as these publishers complete the transition from printed textbooks to online resources, they are able to achieve even greater control over student access to material via passwords and access codes in a deliberate effort to target secondary markets that savvy students have created for sharing and saving money. While the music, journalism and other industries have gone through radical restructuring and decentralization over the last decade, education publishing has mostly stayed the same, and the result is a major and growing barrier for Americans to achieve a college degree at a time when it is more necessary than ever. David’s strategy is to disrupt the education publishing industry by establishing a better alternative and eventually making this the new norm across institutions of higher education. He plans to do so by demonstrating the advantages of OER, building demand for this alternative across networks of community colleges, and making it as easy as possible for institutions of higher education to make the transition. As students, faculty and colleges ‘vote with their feet,’ the sector will tip and OER will become widespread. In 2016, Lumen supported 110,000 students across the US saving them over $10,000,000. David has been experimenting with open education resources since the late 1990s when he wrote the first-ever open license for non software content like textbooks and research articles, which set an example for a broader system of open copyright for educational content. He co-founded Lumen in 2013 to facilitate the adoption of OER nationwide. His vehicle by which to do so is the community college, where the high cost of books is most acutely felt, and where faculty and administrations are more likely to be receptive to fundamental changes in how they produce and assign materials (given that most are focused exclusively on teaching and student learning as opposed to research). At the core of the possible success of OER is the new model itself for producing and licensing content. By definition OER are teaching, learning, and research resources that educators and others can freely use and repurpose. These can include course textbooks and readings, modules, problem sets and exams, as well as video content. Legally, open educational resources differ from traditionally copyrighted textbooks and other instructional materials where authors or publishers retain all rights (including the right to copy and distribute). In contrast, OER materials are released under an open copyright license. In addition to the obvious benefit of reducing the cost of college attendance for students, David and others point to the learning benefits of OER. The process of adopting OER for a course often involves “stripping down” the course to its desired learning outcomes and building it back up by identifying teaching approaches and instructional materials to help students achieve each desired outcome – a process that David believes can improve the effectiveness of any course. In contrast, faculty members using a standard textbook often must adapt their teaching methods and course topics to the material available in the textbook. Traditional textbooks are sometimes written to be ‘teacher proof’ on the assumption that even the most ineffective instructors can simply follow along, whereas OER begins with an assumption that with more room to be flexible and creative, good teachers will become even better. Of course, faculty may like this idea in principle, but actually making the transition isn’t always easy. In fact, despite the recent growth in the availability of openly licensed content (over 1.1 billion items as of 2016), faculty adoption has been slow. Lumen works closely with institutions to take the friction out of the transition process. This begins by vetting university leaders who are committed to improving student success and already taking steps to do so. Those leaders help the Lumen team assemble a group of faculty who are likely receptive to OER. Then via online and in-person training and support, Lumen works with these faculty to design courses and degrees that will meet their needs in addition to state standards. For many common courses like Introduction to Psychology or Business, OER content already exists that has been tested by dozens of teachers, so it’s just a matter of sharing it and potentially customizing to better meet local learners’ needs. For more unusual courses the process can take much longer and the Lumen team, many of whom have roots in academia, participate in the design of materials. Some foundations and colleges incentivize faculty from across states to come together and co-create new OER content. Finally, Lumen provides technical support to integrate OER content into online platforms and even conducts research with faculty to track the effectiveness and supposed benefits of OER. A key Lumen strategy is to facilitate entire degree programs within community colleges that are built around OER so that a student can take the full set of required classes without paying a dime for content. This, much more than individual courses scattered here and there, will create the conditions for sector-wide change. The first such degree programs were piloted at Tidewater Community College in Virginia, where a team of faculty selected content from more than 200 pieces of OER provided by Lumen relevant across 21 courses required to complete a business administration degree. Faculty had complete control and were guaranteed that the new content must be equal or better than before otherwise they had the option to back out. Now called the ‘Z-Degree’ (‘Z’ for ‘zero’), students can easily identify which courses have free materials. What’s more, because the content is open, it is potentially adoptable by all schools in Virginia. This is precisely the point: make it as easy as possible for spread to happen. As David notes, community colleges tend to be concentrated in urban markets and when one starts to adopt OER, pressure mounts on others to follow suit because students take notice and will be drawn to lower-cost colleges. So in addition to working deeply within individual colleges, Lumen works at the sector level to create broader awareness (a ‘persuasion campaign’) of the benefits of OER and build demand and bottom-up support among administrators, faculty, and students alike. They do so in partnership with foundations like Hewlett who help spread awareness, provide ongoing research about the benefits of OER, and sometimes even underwrite the technical assistance Lumen provides to colleges. David also frequently writes and speaks about OER at conferences and education platforms, including an open education conference that David has organized for the last 13 years. David founded the Open Education Group as an interdisciplinary team to conduct research on OER and support course designers and learning specialists nationwide, and collaborates with Creative Commons and other organizations to share best practices and further a coordinated movement. Finally, Lumen is also engaged in policy advocacy to encourage both states and the federal government to put resources behind OER pilots within community college networks. In 2016 the California governor’s office earmarked $5 million to support OER growth in the state. Where OER has been embedded at the degree level, the results have been significant. The ‘Z-Degree’, for example, at Tidewater Community College (TCC) allowed students to skip almost $2500 in textbook costs and complete a two-year degree in Business Administration. In just its first full year, TCC saw a significant increase in the percentage of students who completed a course with a C grade or better, with a simultaneous decrease in withdrawal rates among students in the Z-Degree. David is aware of the potential of OER in the K-12 market as well, and founded the Open High School of Utah (now Mountain Heights Academy), helped launch Open Up Resources, a nonprofit organization that publishes open K-12 math and language materials, and initiated the Utah Science OER project with the Utah State Board of Education. This group has published open science textbooks for grades 3 – 12 available at a fraction of the cost – for example their high school algebra textbook is available on Amazon print on-demand for $4.70 per book, compared to the standard $80 or more. Lumen was founded in 2012 with grant funding from the Gates Foundation. It currently works with over 120 community colleges and universities across the U.S. to support their efforts as they create OER-based degree programs, with a short-term goal to reach 250 colleges, or 15% of the national community college market. In ten years David hopes every university in America will provide an all-OER pathway through its first two years of courses (commonly known as the general education sequence). David grew up in West Virginia with first-hand experience of what lack of access to resources and opportunities can do to people. He saw how important education was as the coalmines closed, which of course they eventually did. As a student at Marshall University he took two years off to serve a Mormon mission in Japan. It was there that David felt the powerful contentment and fulfillment that comes from dedicating yourself to serving others, and where he decided his career would be built around a commitment to others. As the university webmaster at Marshall in the mid-90s, David first encountered the possibilities of shared open resources. He was developing a calculator to be embedded in a webpage and realized the magical quality of a digital calculator that, unlike physical ones, could be used by thousands or even millions of people at the same time. He describes the ‘clouds parting and sun shining down’ at this realization, and this was the beginning of his long exploration with the Internet as a tool that could equalize access to resources and information. He felt an ethical pull to leverage this tool, particularly for the purpose of education. Over the next decade, David founded a small Internet training and services company in West Virginia, completed a PhD in instructional technology and psychology, and co-wrote the very first open source license for non-software in 1998 which laid the foundation to be able to share education resources in a way that wasn’t possible before. He went on to do post-doctoral work and then join the faculty at Utah State University, where he founded the Center for Open and Sustainable Learning, all along experimenting with learning innovations and coming back to the possibilities of open resources. David ultimately moved to another tenured faculty position at BYU where he led cutting-edge research on the impact of OER adoption of student success. But after seven years he made the decision that the potential transformative impact of OER would never be fully realized while he remained within the academic setting. He co-founded Lumen Learning in 2013 and dedicated himself full time to this work.